With the shock result of Brexit our thoughts turn to what this means for our jobs, employment, finances and our place in Europe as a European country outside of the European Union. Speculation is rife, but the prospects are not all doom and gloom. We may be out of the EU, but we are still proud Europeans. “Britons will, in all probability, be able to enjoy visa-free travel to EU countries to the foreseeable future” states Ian Hughes, financial researcher for Consumer Intelligence. With regards to study, employment and property purchases overseas the language barrier is, and always has been, a far greater obstacle to achieving personal and professional goals in another European country than the unlikely visa changes or increase in taxes that may or may not occur. Thousands of Britons successfully study, work and buy houses across the world, in non EU countries, and they will continue to do so in Europe, even after the UK leaves the EU. 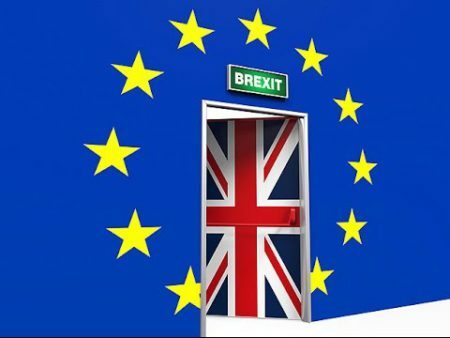 For those who want to live, study, work or retire abroad the most important factor in this process will be acquiring a working command of the local language, not Britain’s exit from the EU. When the National Curriculum was introduced in 1988 secondary schools were required to provide tuition for all students in at least one modern foreign language. The belief held by those in government and business at the time was that speaking more than one language was not only desirable but also intrinsic to a meaningful relationship with our European partners. Ironically, it was perhaps Britain’s most pro-European government, under Tony Blair, that had the greatest negative impact on language learning when, in 2004 they removed the requirement for all children to take a language at GCSE. Since then poor foreign language skills and the assumption that “everyone speaks English” are costing the UK economy around £48bn a year, according to research by Professor James Foreman-Peck for the Department of Business, Innovation and Skills (BIS). 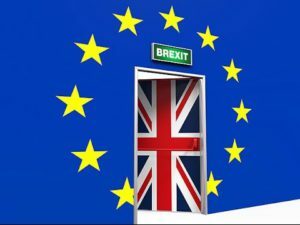 With the exit from the EU a renewed interest in language learning in the UK is anticipated, filling the language skills gap that will continue to grow and ensuring employees meet the language skills levels required by businesses and trading partners. The decline in the study of languages has also coincided with a decline in the opportunities that young people have to genuinely engage with Europeans on the continent. The ease of week-long holidays to the Algarve or southern Spain often brings little in the way of cultural value and can be characterised by a sense of familiarity. It is now down to young people and parents alike to make a conscious effort to engage with European countries on a cultural and educational level. The British public can, if they choose, take responsibility for learning about the politics, values, and way of life in other European countries – as well as learning the language. Brexit could lead to a greater understanding and celebration of the differences of the 27 member states, rather than tolerance of the perceived homogenisation created under the single EU banner. As the UK considers the prospect of new and improved trading relations with the rest of the world the demand for ‘other languages’ is set to rise. With 24 million French speakers in Africa and 250 million Spanish speakers in Latin America these European languages will continue to hold their place as prominent world languages. However, UK businesses will have their sights firmly set on leveraging trading opportunities in Australia, the US, Asia and the Middle East and as a result we will see an increase in demand for both Chinese and Arabic language skills. We may be out of the EU but we can still be proud Europeans. Be a proud European in Britain and make sure you learn another language. Next: Is Germany the New UK?